Cultured Marble Shower Surrounds or Tile? Here’s How To Decide. For every project, two considerations rise to the top—price and durability. 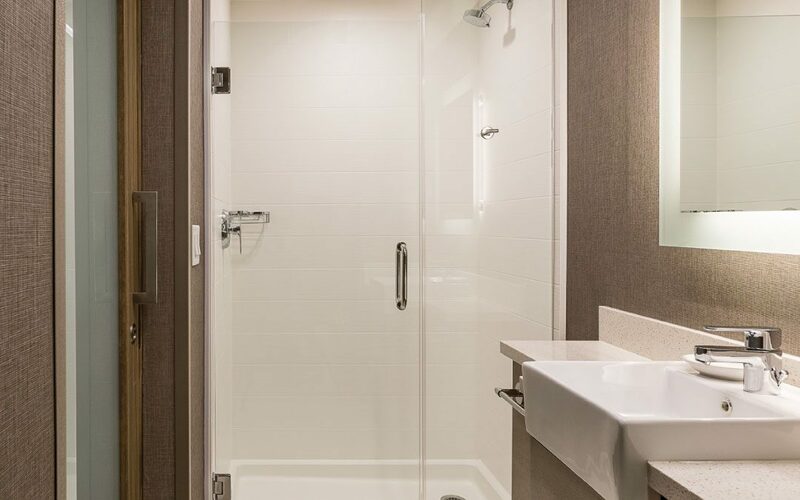 When choosing materials for hospitality, multi-family, student housing or senior living projects, bathrooms are a key component of your budget and planning for future upkeep is essential. So, which materials should you use to optimize your budget and ensure lasting, durable function? Here’s an assessment of cultured marble versus tile to help you decide which best fits the requirements of your project. Cultured marble is a man-made product that is molded from a mixture of particles and resins that is covered with a gel to help set the mixture. It is then polished to give it a lux look that adds value to any bathroom project. Tiles come in various shapes, sizes and materials. All of these factors can affect price. The most popular materials for tile shower surrounds are marble, ceramic, porcelain, glass and acrylic. So, in review, cultured marble shower surrounds will accommodate your needs if you need a material that is quick and easy to install, durable and requires very little maintenance. Tile should be considered for its flexibility, but it may have less durability and longevity. If the bathrooms in your project are uniform in design, cultured marble will work well and be cost-effective. 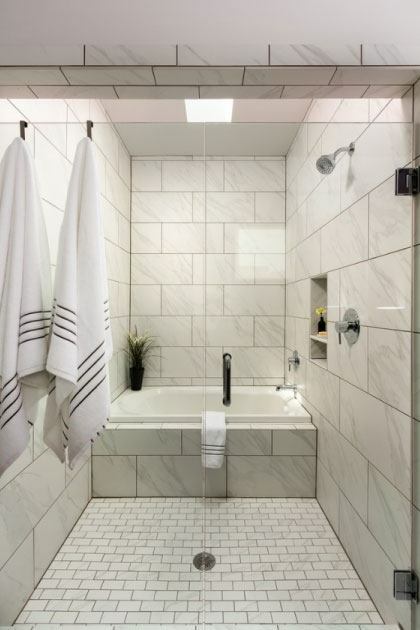 A project with varying bathroom layouts and sizes could benefit from the flexibility that tile can offer, with its selection of sizes and ability to custom-fit unique configurations. However, keep in mind that both options will deliver pleasing, comfortable and durable spaces that your guests will love. For more information about how to choose the best material for your bathroom projects, please contact us for a free consultation. We’re here to help you make the best decisions for appointing your unique project. For more information or to learn more about how the Grabinski Group can help you with your next hospitality, senior living or student housing project, please contact us.